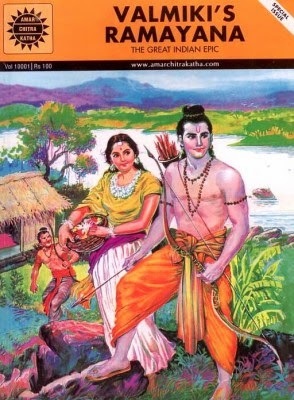 Valmiki’s Ramayana was originally written in Sanskrit. The verse came about when the Sage Valmiki cursed the hunter who killed a bird, but in turn the curse brought about the Ramayana. Valmiki’s Ramayana is known as the Adikavya as it is believed to be the first poem written in Sanskrit. It is said that Lord Brahma had promised Valmiki that as long as the mountains stand and the rivers flow, the Ramayana will be read by man for generations to come. The Ramayana consists of 24,000 verses, all of which sing the praises of the great Lord Rama and his search for truth.In the verses, Rama is described as an avatar of Vishnu, however, Valmiki does not call him a God. Subba Rao was known as the Telugu Valmiki because he translated Valmiki’s Ramayana to Telugu. He was a disciple of Rabindranath Tagore and was a lover of great beauty. He also loved literature, especially English lyrical poetry.